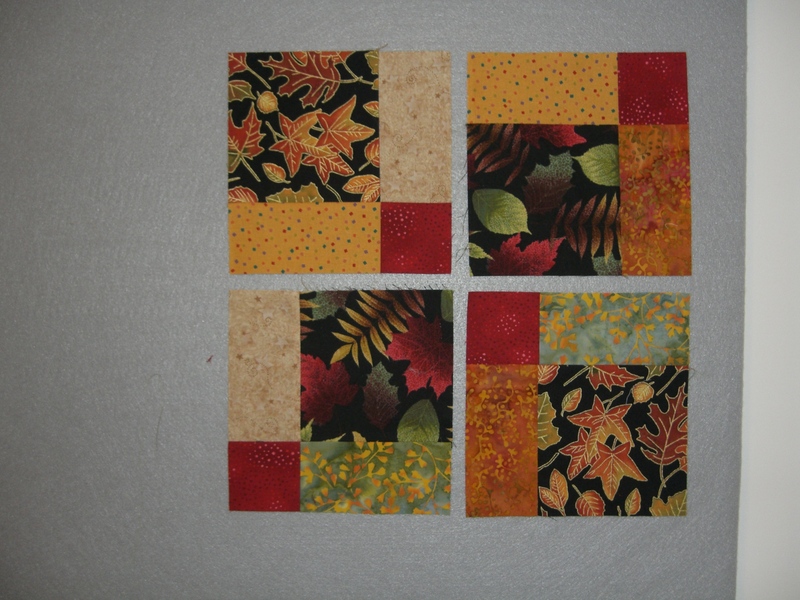 This block is to make during the month of March and brought to the April meeting. 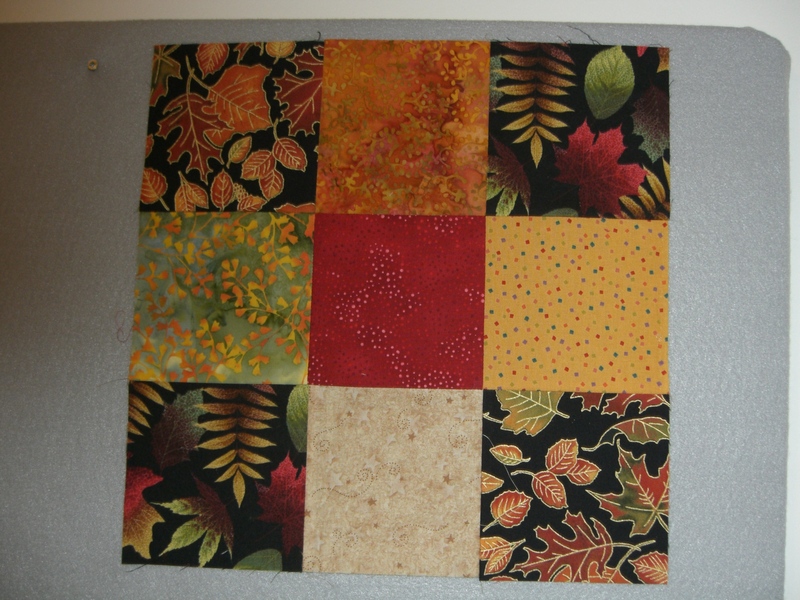 Example 1: Cut four – 5″ corner squares (fall foliage Packet with black backgrouond available $ .25). Other black backgrounds fall leaf print okay to use. Cut one – 5″ square Red texture. Cut four – 5 ” squares in texture or small print in light to med. fall colors. 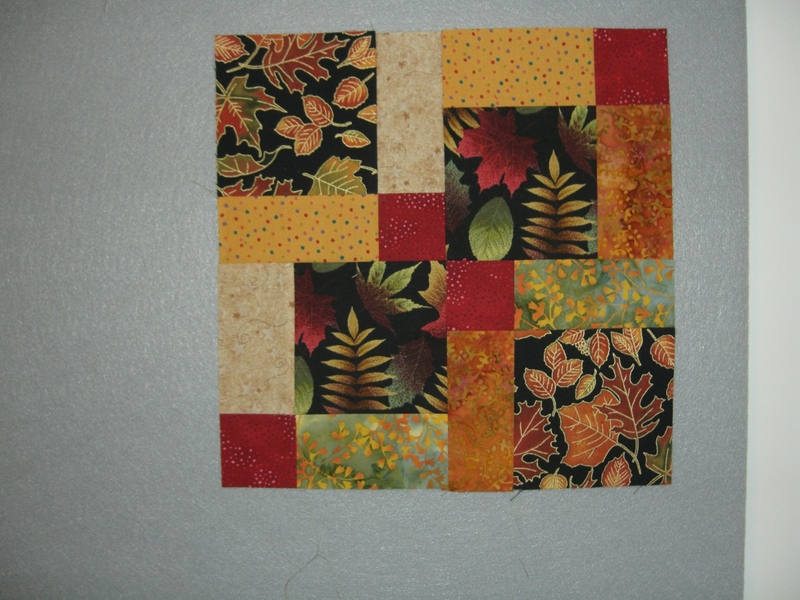 Sew basic nine patch as shown below.. Sewn square should be 14″. Sew scant 1/4 ” seam. Cut nine patch in half vertically and horizontally without moving square. 7″ from side and top would be the center cutting lines. Leave 2 opposing red squares in center and turn 2 red squares to outside corner and sew block as shown. Completed block should measure 13.5″. Great block! I had it done in less than 10 minutes!